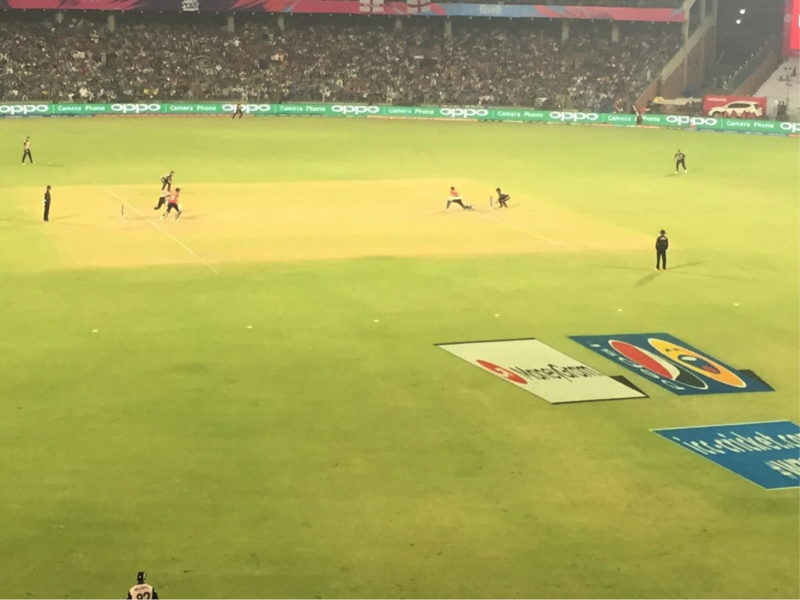 Semi finals in T20 are always an exciting stage in a cricketing contest aren’t they? And, when it gets down to a World T20, the stakes are high as is the adrenaline flowing through the veins, making brains swizzle with uncertainty and uncontrollable excitement. 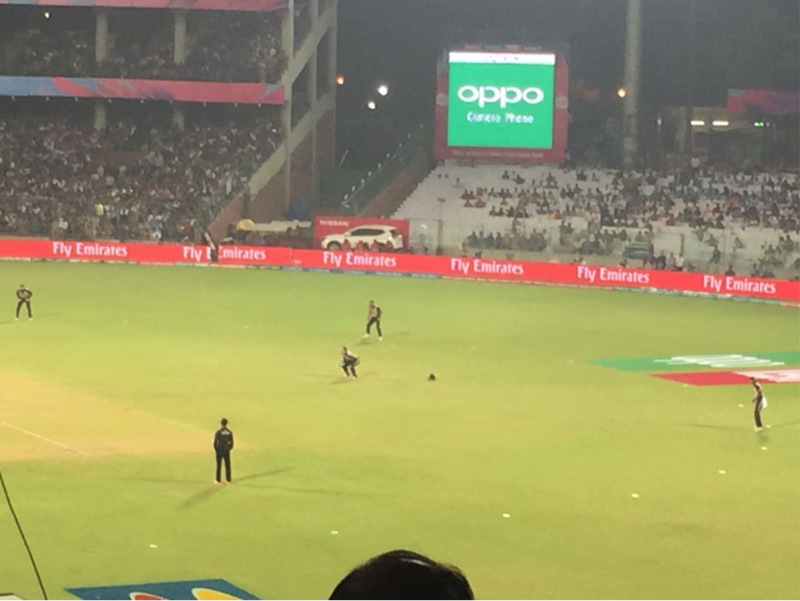 The picturesque luscious green Feroz Shah Kotla Cricket ground on Wednesday, March 30 2016 was the place to be at, if you were in Delhi. And truth be told, it looked more spectacular thanks to the new friend now hand-held on most Delhiites’ hands; the OPPO F1 Selfie Expert. Charming, sleek and stylishly designed, the ‘avant garde’ new addition to the smart-phone galaxy made the run-fest and wicket tumbling encounter a memorable one. 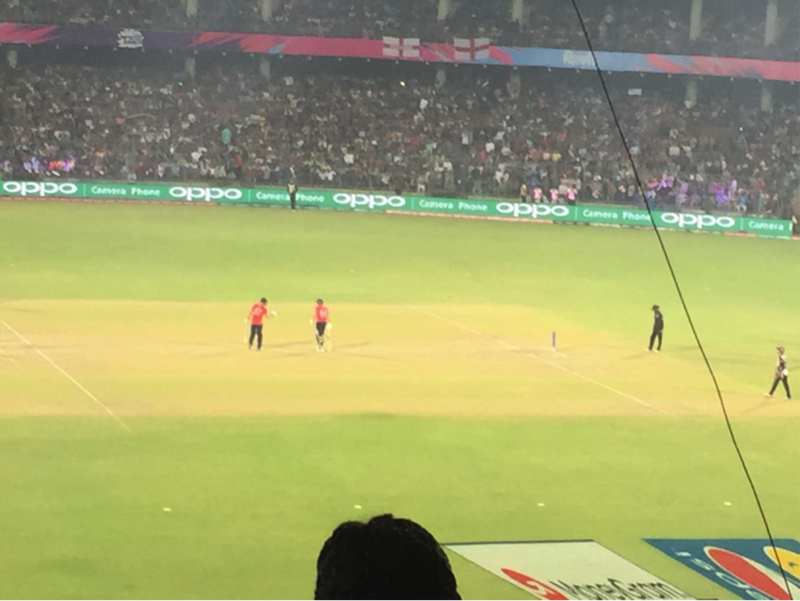 The Kotla, witnessed in its glory in an enthralling T20 contest between the ever charging New Zealand and a resurgent English side went nearly down the wire, save for England, who seemed to be in a bit of a hurry to book their place into the finals of the ICC World T20 2016 carnival. Chasing a moderate 154 set by the Kiwis who at one stage were 89 from the first 10 overs, the English made light work of an impressive bowling attack led by Corey Anderson, Santner and Ish Sodhi who failed to contain the English rampage. At 17.1 overs, having struck 159 in their ask of a paltry 154, the English were seen walking gracefully to the pavilion amidst the glowing green branding of a phone highly in demand and one all are seen taking to( quite like a fish to a pond): the OPPO F1 Selfie Expert. We had amidst us, the charming make up of some of the world’s exciting talents from England and New Zealand with the likes of Jason Roy, Joss Buttler and Joe Root rollicking the Kiwi charge led by ace batsman Kane Williamson, muscular all-rounder Corey Anderson and the burlesque Colin Munro. The Delhi crowd, on the other hand was ever so cheerful in its anticipation of who would emerge on top on a contest set ablaze by an evenly-paced match until the English willowers creamed the Kiwi cherry to all parts of the ground. 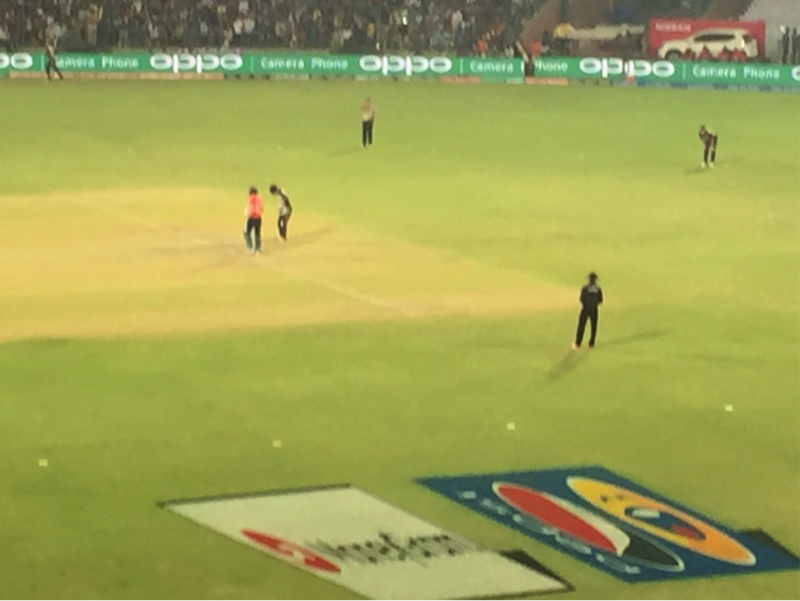 Batting first, quite like the light-weighed 9 MP rear OPPO F1 Selfie Expert, the Kiwis looked in control seeming to have the match in their hands. Holding the premium metal bodied beauty, the real picture of the match, however was quite different from had seemed like a one man show. At times, ‘zooming’ in for a better view always brings in a clearer perspective of the situation and the 13 MP rear did just that. While the Kiwis, lead by marvelous batsman Williamson had seemed to dominate, their inability to come to terms with a slow pitch where ball hardly came to bat took the match in some other direction. 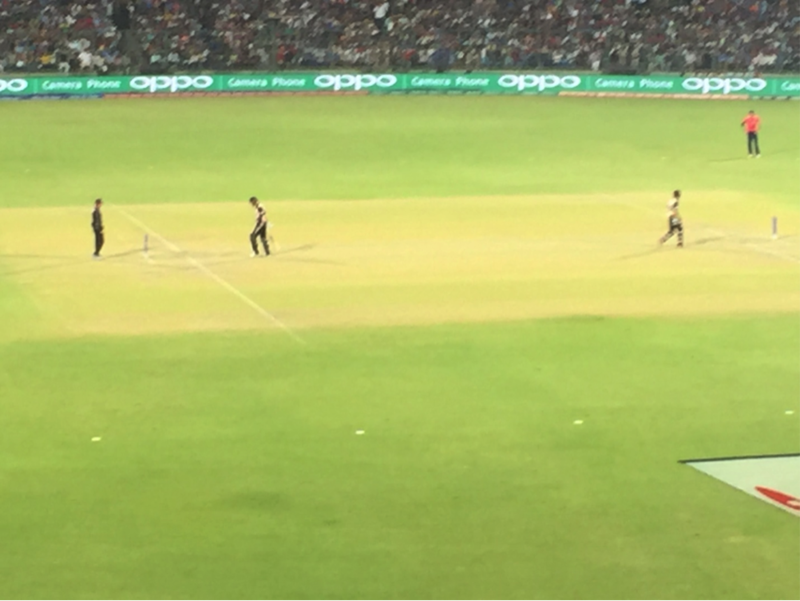 While the heat of the ground took over the crowds as the evening progressed, the warmth of Delhiites dancing to foot thumping numbers cheering their favorite cricketing icons made for impressive atmospherics in the ground. In the midst of the heat and among the soaring excitement of what was a thrill-fest, a constant companion to the game was the brand new and lavish OPPO Selfie Expert F1. As the runs kept coming and the wickets kept tumbling in a nervy contest of thrill and athleticism, the English piled on the pressure and allowed the Kiwis to squeeze in just 64 runs from the remaining 10 overs. At one time, it had seemed that an attack featuring the best hitter of the ball alongside De Villiers and Gayle; Corey Anderson teaming with Grant Elliott and Ross Taylor, would rip apart the likes of Chris Jordan and Liam Plunkett. Young, rearing to go and dynamic quite like the 8 megapixel front camera armed OPPO F1 Selfie Expert, 25 year old Jason Roy proved to be the nemesis of the disenchanted Kiwis. Striking rich and meaty blows from the middle of the bat seemed like a thing that came natural and sweet to the free flowing Durban Roy who thumped a 44 ball 78, with 11 boundaries and 2 sixes. And just like no partnership can prosper in isolation, I had with me the charming embrace of the brand new OPPO F1 Selfie expert in whose company I made merry seeing those big hits of Joss Buttler who starred with 3 mighty sixes in his 17 ball 32. OPPO is running a campaign around the 2016 ICC WT20. Now, simply upload your selfie with #WT20SelfieExpert and get a chance to win the OPPO F1 WT20 Edition, Toss OFan and Final Match VIP Tickets.